Strobist is the world's most popular resource for photographers who want how to learn to use their flashes like a pro. Lighting newb? Welcome. 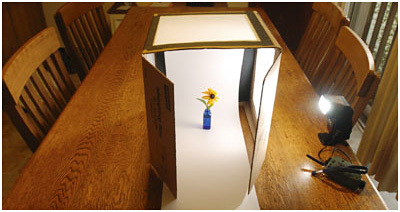 Start with Lighting 101, just as millions of other photographers have done before you. Or scroll down to access Strobist's various courses below. You are currently viewing Strobist in Knowledge Bank mode. If you prefer, you can view Strobist's most recent posts in more traditional blog format. Lighting 101 is the core foundation of Strobist. It is a free, start-from-zero tutorial that will teach you the basics of lighting and minimalist lighting gear. Lighting 101 will have you up and running in no time—and at minimal expense. Lighting 102 is the sequel to Lighting 101. Where L101 was about gear and basic concepts, L102 will teach you how to further understand and control the qualities of your light to make it do your bidding. Lighting 103 is a deep dive into color. It explores the intersection of light and color to help you give your photos more nuance, realism and depth. Strobist Lighting Cookbook, currently in progress, combines the concepts learned in L101-103 to give you more understanding, creativity and fluidity with your lighting. On Assignment features full walk-throughs of over 170 real-world assignments, complete with discussions ranging from lighting to concept to execution—and even some screw-ups. It largely follows my path as a newspaper shooter and beyond, progressing from simple speedlights to more complex studio flashes. Occasionally, OA also features the work of other photographers. Sad fact: There are a lot of companies that make some pretty crappy lighting gear, but are still happy to take your money. The Strobist Gear Guide is designed to help you avoid making many of the costly rookie mistakes I made over the first few years of my career. This is the gear that works for me, day in and day out. It is solid, reliable and will get the job done without destroying your wallet. Books are gear for your brain. Chosen wisely, they represent some of the best value for dollar you can spend as a learning photographer. Featured on the Strobist Bookshelf are my current favorites, winnowed from hundreds of books read over the course of my career. It is a relatively short list, but there are solid selections for nearly any lighting photographer. The Bookshelf is updated regularly. Being visually oriented, most photographers embrace the concept of monkey-see, monkey-do. If that sounds like you, the links in the video vault will point you to the best 100 videos of the past nine years. Over the last few years we have had occasion to interview not only interesting photographers but also a few artists. And occasionally we'll turn the mic over to another photographer, for a change in perspective. Epiphanies? Complaints? Practical Jokes? Revenge? The occasional laugh? You'll find them in this list. Books, lights, mods, grip—and I am not even ruling out BBQ sauce in the future. If it is worth your time I will talk about it here. If it not worth your time, I'm probably not gonna talk about it. Unless it is spectacularly bad, in which case who can resist?